We have a 10 minute appointment system however if you have a complicated medical condition which needs more time we do offer 15 minute appointments. We have both pre-bookable advance appointments and urgent same day appointments. If you require a pre-booked appointment please call between 08:30-13:00 and 14:00-18:00 Monday to Friday. When making a pre-booked appointment you will be given the choice of whichever Dr you prefer to see. If you require an urgent appointment please call at 08:30 for an appointment that morning or at 14:00 for an appointment that afternoon. The receptionists will arrange this for you however it may not be with the doctor of your choice. Please let us know as early as possible if you cannot keep your appointment so that it can be offered to someone else. Extra GP appointments are available in the evenings and on the weekends in Barnet. These extended hours (6:30pm to 8:00pm on weekdays) (8:00am - 8:00pm on weekends) are provided from several GP practices (Hubs) in the borough. You can call the service directly on 020 3948 6809 during the hub operating hours to book an appointment. Or we at the practice can also book this for you. Did you know you can save yourselves time – as well as relieving some of the pressure on practice staff – by registering to use GP online services? Instead of phoning or visiting the surgery to book or cancel your appointments - or order repeat prescriptions and get your test results - you can now do it all online, and it’s quick, easy and secure. You can also see your patient record. A carer, with your permission, may also do all or some of this on your behalf. Going online really does make a difference. 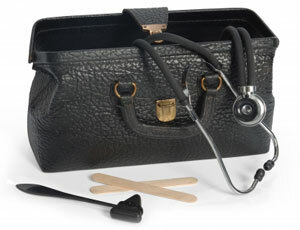 It not only saves you and the practice time, but will help you to take more control of your health care. Registering online doesn’t mean you can’t see your GP, practice nurse or attend a clinic. It just gives you quicker and easier access to practice services whenever you’re online and wherever you may be. Ask the receptionist about registering for online services next time you’re in the practice, and we’ll support you in getting started. 1) Complete and sign consent form. 3) We will print you your personal ID and PIN number. A doctor or nurse may phone you back as it may be that your problem can be dealt with by telephone advice or the doctor may want more information regarding your illness before the visit. Most of the Doctors have telephone appointment slots. You may book a telephone appointment if you wish to speak to a doctor. Although the doctor will try to call you back at the specified time this is not always possible and you should aim at be contactable throughout the day. Please remember it is very important for you to cancel your appointment on time if you are unable to attend it. We can then offer the appointment to someone else. We understand that there may be genuine reasons why patients are unable to attend an appointment. Please let us know why you did not attend on this occasion. As a practice, we have approximately 150 unattended appointments per month. An appointment not attended may mean that another patient who wanted to see their GP or Practice Nurse could have done so. We respectfully request that if you may miss or be late for an appointment in the future, you kindly let us know 24 hours in advance, or at least an hour before the appointment. The appointment can then be given to someone else and a new one offered to you if needed. 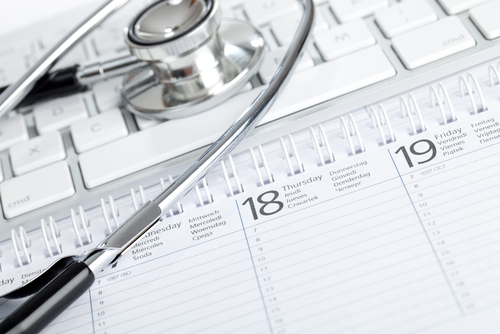 If you miss more than 3 appointments in a 12-month period without cancellation, this may be deemed a breakdown in the doctor patient relationship and you may be removed from the practice list. Number of missed appointments for 2015. A chaperone is a person who serves as a witness for both a patient and a clinician as a safeguard for both parties during a medical examination or procedure. If you feel you would like a chaperone present at your consultation please either inform Reception or speak to the Doctor / Nurse who will be more than happy to arrange this for you.